This garden was designed for a client who loves outdoor entertaining, and with teenage children, was keen to have different areas in the garden for different social occasions, from barbeques with friends to relaxing round a fire pit. We transformed the furthest corner of the site into a secluded chill out area with seating and screening from the neighbours. 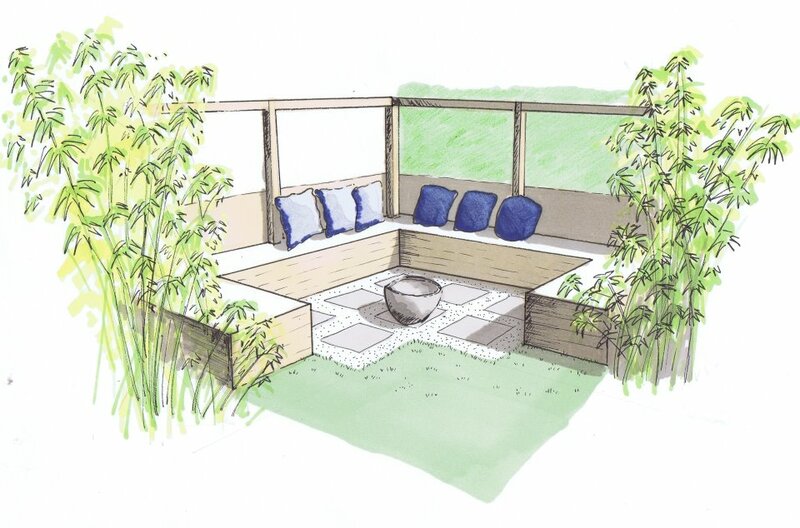 Planted with bamboo, and with new horizontal trellis screens, this corner can now be used for relaxing, cooking, reading and getting away from everything. 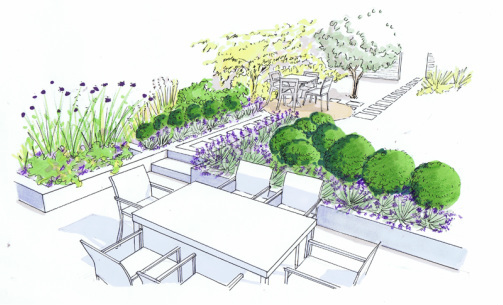 The new dining terrace is enclosed by soft planting of aromatic, drought tolerant plants in silvers and purples. 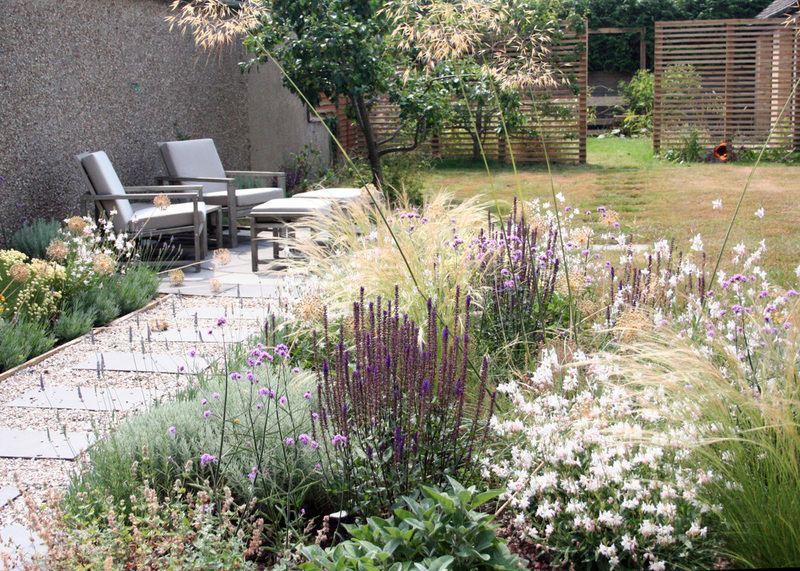 The beds are given structure with mounds of silver Santolinas, while silky Stipa grasses, Verbena Bonariensis lollipop, Gaura Lindheimeri and various Salvias weave inbetween. 100 Narcissi Minnow so the garden will burst into life in the Spring.